Former quarterback and placekicker who played 26 seasons in the NFL, mostly for the Chicago Bears, Houston Oilers, and Oakland Raiders. 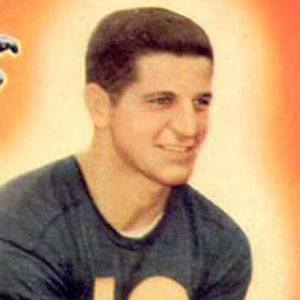 He was a quarterback and kicker at the University of Kentucky prior to signing with the Chicago Bears in 1949. He set a league record by playing a total of 340 games during his career. He was married to Betty Blanda up until his death in 2010. He held the league record for most career interceptions thrown until Brett Favre broke it.